New insights from the Tikal excavations and epigraphic breakthroughs suggest that a thriving marketplace existed in the center of the city, that foreigners comprised a significant element of its populace, and that differences in tomb form and contents signal the changing fortunes of Tikal’s rulers. Essay topics include the timing of the foundation of the Tikal dynasty, the earliest experiments in socio-political complexity, the 6th-7th century hiatus in monument erection, the reassertion of central authority around A.D. 700, and the complex causality behind the collapse and depopulation during the 9th century. 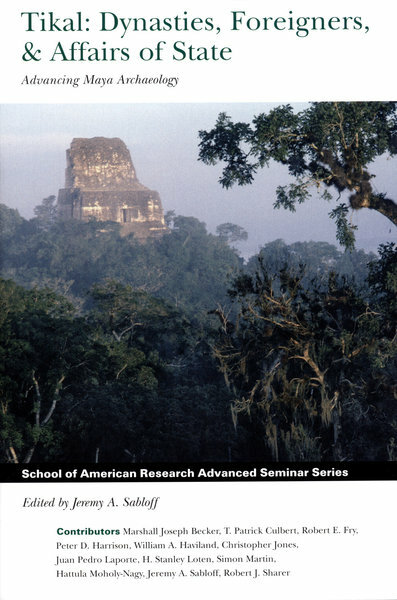 Featuring some of the premiere specialists in the field as well as innovative new scholars, this volume promises to shape Tikal’s interpretations and research agenda for decades to come.